Crikey, when I thought that Paris couldn’t possibly get any cooler, I saw this building and my head started spinning. 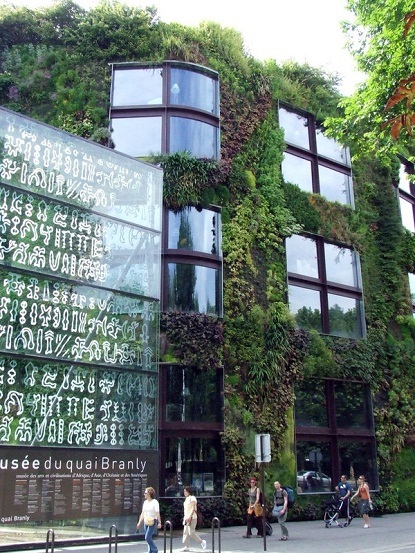 This 'living wall' is a part of the office wing of the Musée du Quai Branly in Paris. The designer's goal was to allow both the plants and the building to live in harmony with one another. I’ve always dreamed of living in a flat building covered in ivy. Somehow that seems totally romantic to me. 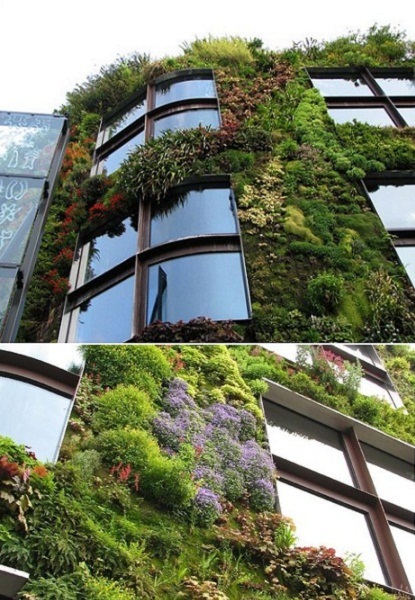 P.S: Here is a great NY Times article on eco-Paris and here is another awesome Parisian green wall. P.P.S: A super snazzy GIVEAWAY Wednesday is coming up! I always wanted an old house covered in Ivy too!! That is beautiful. I want my house to be like that. I can't even keep a single herb garden alive though. and it is so paris. ooooh! love green! this post is so positive! ah! so beautiful! I definitely need to add this to my must see list in paris. I'm with sage. I was thinking how you get it watered?! lovely. How cool! One of my friend is talking about trying to do a living wall at her house, I'm sending her the link to your page! That is so cool, Lauren! She totally should try it. FourJedis, I know what you mean. I totally want my flat-building to look like that too. Patrick designed a vertical garden at my high school in San Francisco.